Can we trust the Bible? Jesus Himself says that He is the Truth. He is the Living Word, so we would also expect the written Word to be true. And when we study Scripture without a preconceived anti-faith bias, we often notice that it is indeed reliable from the very first verse. The name above every other name is Jesus (Greek: Ἰησοῦς, Iesous). Image courtesy of Andreas Wahra, Creative Commons (CC BY-SA 3.0). How could God best show us what He is really like? He has done that in two ways: 1) By giving us His Word, the Bible, and 2) by coming to live among us for a short while. The apostle Paul called Jesus “the image of the invisible God” (Colossians 1:15). During His earthly ministry, Jesus “went about doing good and healing all those being oppressed by the devil, because God was with Him.” (Acts 10:38). 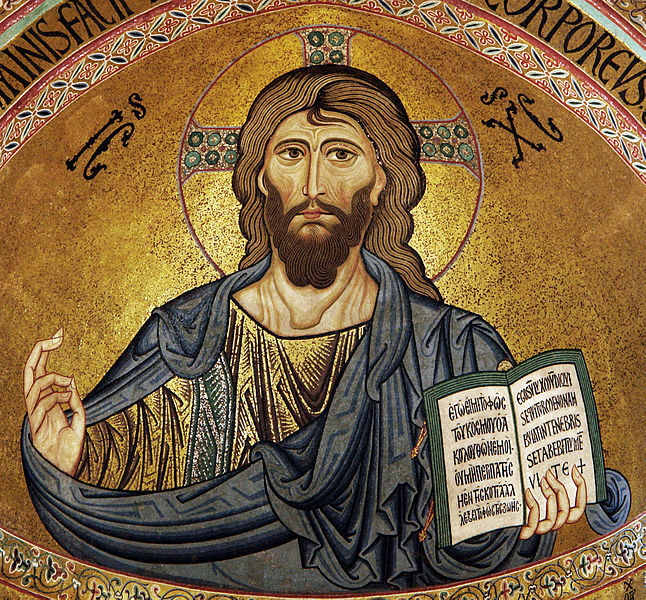 To identify with humanity, Jesus used the title Son of Man (Greek: ὁ υἱὸς τοὺ ἀνθρώπου), a sign of humility. “Let this mind be in you which was also in Christ Jesus Who subsisting in the form of God, did not consider to be equal with God something to be grasped, but emptied Himself, having taken the form of a servant, having been made in the likeness of men. And having been found in appearance as a man He humbled Himself, having become obedient unto death, even the death of the cross.” (2:5–8). Whereas His disciples wanted to be great, Jesus was willing to wash their feet. “Therefore God also highly exalted Him, and granted to Him the name above every name, that at the name of Jesus every knee should bow, in the heavens and on earth and under the earth, and every tongue should confess that Jesus Christ is Lord, to the glory of God the Father.” (2:9–11). Even today, there is power in the name that is above every other name. In Jesus' name, sinners receive salvation and the sick are healed. I’m a translator and writer currently living in Finland. I have three academic degrees: a BA in Bible and Theology, an MA in Translation Studies, and an MA in Biblical Studies. Olen koulutukseltani sekä filosofian maisteri (pääaine: englannin kielen kääntäminen ja tulkinta) että teologian maisteri (Uuden testamentin koulutusohjelma). Lisäksi olen suorittanut BA-tutkinnon (Raamattu ja teologia). Can Our Faith Be Shipwrecked? Is Jesus Really with Us? Animal Death Before the Fall? Are There Contradictions, Errors and Inconsistencies in the Bible?